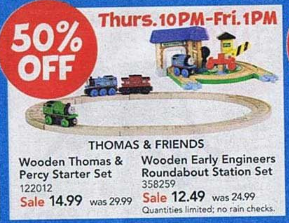 Toys “R” Us is going to have Thomas the Train Early Engineer sets priced at only $12.49 on Black Friday. Use the $10/1 coupon from the November issue of Family Fun magazine & The November Issue of Parents: The Early Years magazine to get it for just $2.49! I have 2 coupons so I think these will make great gifts for Toys for Tots! This deal is available from Thursday at 10 p.m. until Friday at 1 p.m. 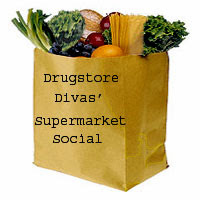 Thanks, Common Sense with Money & Money Saving Mom for this great find!